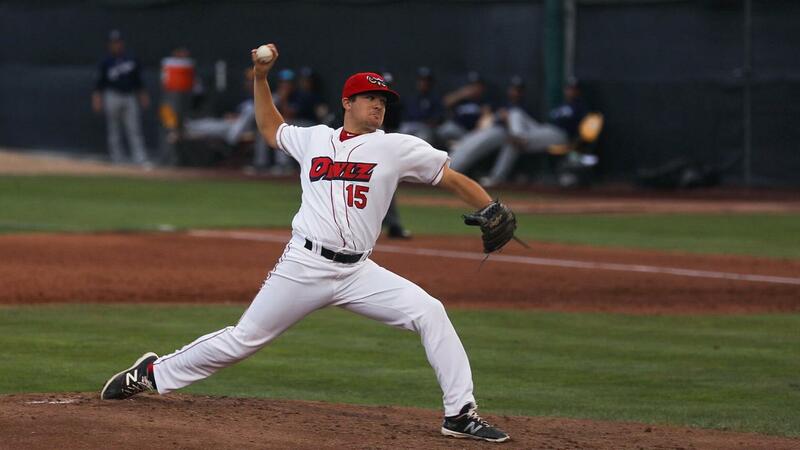 OREM - The Brewers used a grand slam to separate themselves from the Owlz and win 9-5 on Monday night. Orem took the lead in the third inning after Livan Soto scored from a Francisco Del Valle line drive. Helena tied things right back up in the fourth inning. Bryan Torres hit a homer to right field, leaving the score at 2-2. Pablo Abreu hit a grand slam in the fifth inning. Abreu's big hit to left center field scored Luis Avila, Leugim Castillo and Fry. The Brewers increased their lead to six runs in the sixth inning. Jesus Lujano scored on a single ground ball and Jose Sibrian scored from an Owlz fielding error. The Owlz trailed 8-2 to end the sixth. Nonie Williams kept up his strong play of late. Williams hit the ball to center field, then made an athletic play to make it to third base. Williams ran into home when Connor Fitzsimons grounded out. Maitan scored in the eighth inning from a wild pitch that also walked Fitzsimons. Fry hit a home run in the ninth to give the Brewers the 9-4 lead. Orem put a littler bit of pressure on Helena in the bottom of the ninth by getting a run rom Cam Williams, but the Owlz could not get any closer. The Owlz will play Helena again tomorrow at 7:05 p.m. It will be Feed the Hungry Night at the Home of the Owlz. Bring five cans of non-perishable food for a free general admission ticket and ten cans of non-perishable food for a free reserved ticket. All donations will go to the Community Action food Bank.